Multi-Platinum entertainer Dierks Bentley and the world’s leading live entertainment company Live Nation have announced the inaugural Seven Peaks Music Festival. Destined to be the most fresh and eclectic country festival this summer, Seven Peaks Music Festival will converge over three days with multiple stages and a campground set in front of the awe-inspiring collegiate peaks mountain range in Buena Vista, CO this Labor Day Weekend (Aug 31-Sept 2). Bentley, who will take the stage several times over the course of the weekend, has invited friends and collaborators Miranda Lambert, Brothers Osborne, Elle King, LANCO, Del McCoury, Sam Bush and The Cadillac Three as the first announced artists to play, with more to be revealed in the coming weeks. Three-day passes for the one-of-a-kind experience will go on-sale beginning April 20th at 10 am MST on sevenpeaksfestival.com. Like his upcoming studio album The Mountain, Seven Peaks Music Festival was inspired from Bentley’s love of The West. An eclectic and comradery-filled lineup that offers a who’s-who of first-class musicians, fans can expect the unexpected with late-night jams and surprise guests, as well as activity-filled excursions during the day. The natural beauty of the site’s sprawling grounds provides the perfect homegrown vibe for a Labor Day weekend camp out under the stars, where festival-goers will have multiple camping options from tents to full-sized RV accommodations. 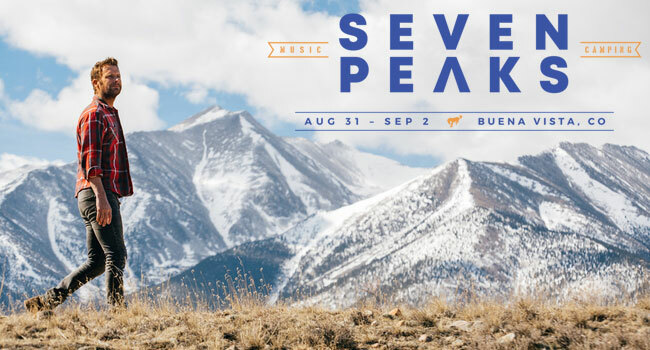 Citi is the official pre-sale credit card of the Seven Peaks Music Festival. As such, Citi cardmembers will have access to purchase pre-sale tickets beginning Tuesday, April 17th at 10 am MT until Thursday, April 19th at 11:59 pm MT through Citi¹s Private Pass program.